I've made all my tools, matter a'fact, everything I got. Well, this shaving horse I guess is about fifty years old. 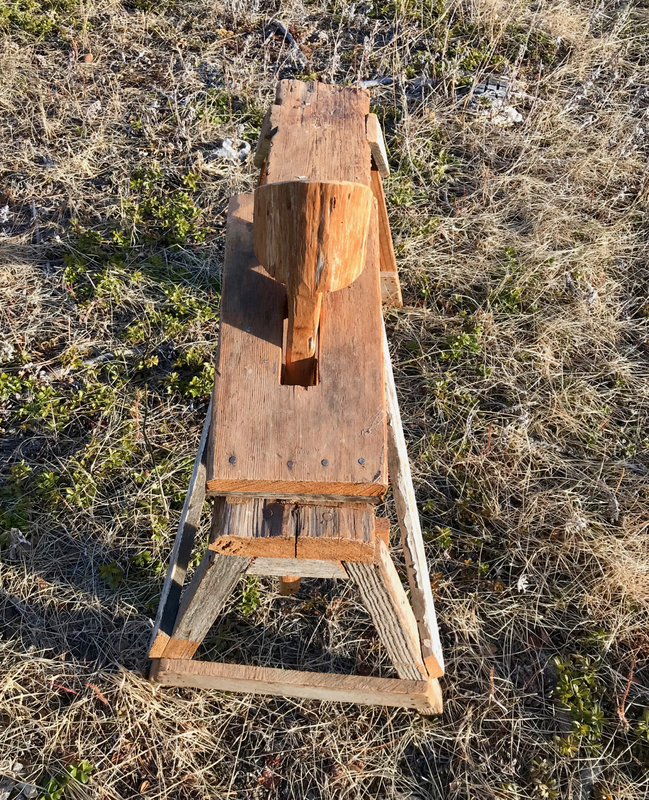 I made this shaving horse in 1978, when I was fifteen years old. I was tired of trying to hold stock in the leg vise on our grandfather's workbench, sticks of wood often would slip out when I took Grandpa's drawknife to it, and the jaws limited access to the wood I was trying to shape. I saw a photo of one in Foxfire 3 and decided I could make one. My parents had all sorts of pieces of wood cached up in the attic of the old workshop, both were children of the Great Depression, they squirreled stuff away "because you never know when you are going to need it!" There was a five foot long piece of chainsaw milled incense cedar, pieces of old painted window, miscellaneous Douglas fir 2x2's and one piece of old growth Douglas fir that was just right for the bridge table. I can't remember if my father helped me build this bench. There were no plans, I built the thing "by hand and by eye", something both my parents preached every time something was to be made. 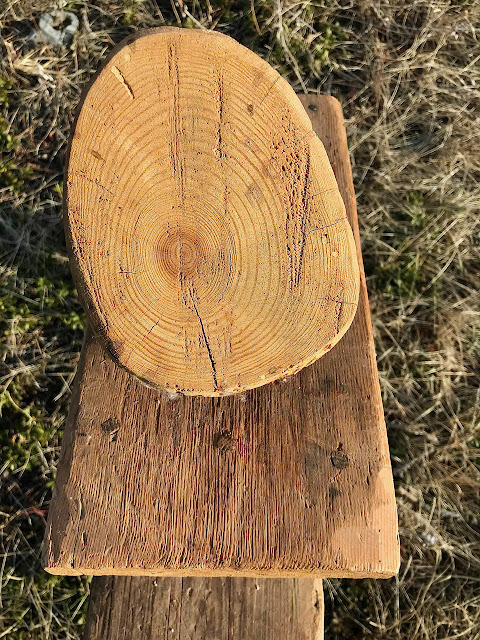 I tried to smooth the bench board as best I could with a No.5 Stanley jack plane, there was an Atkins crosscut saw to use, plus a Stanley brace with Winchester auger bits and probably an old Plumb claw hand drove that nails. 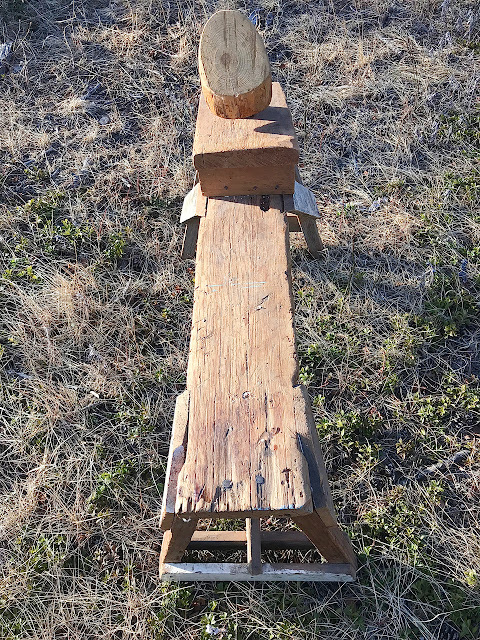 The dumbhead was the bottom chunk of young ponderosa pine I cut down and hewed out with a double bit axe and at one point in its life, there was a treadle on the other end of the dumbhead. and the bridge is pinned down to the riser with hand chopped Douglas fir dowels. After I made this horse my mother saw that I had used that nice Douglas fir board for the bridge, and boy, did I catch hell for that! She told me I should have used a "different" piece of wood. I spent many an hour on this horse in the mid 1990's shaping out parts for stick Windsor chairs and other stock that got turned on a bungee cord lathe. 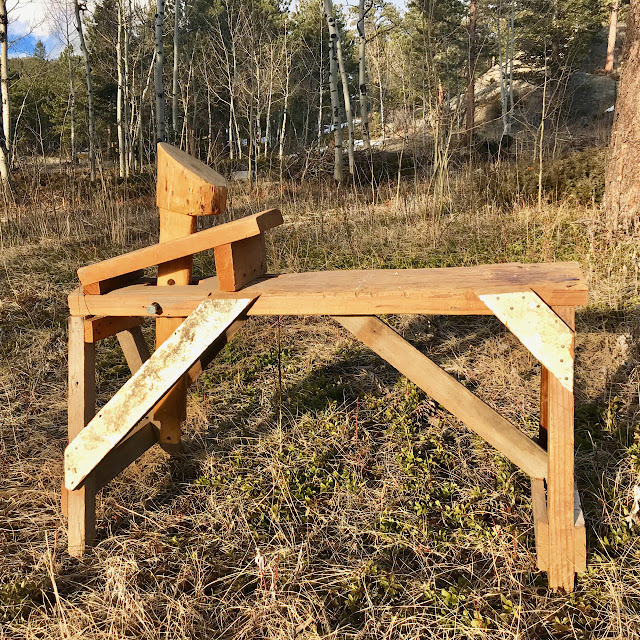 The only "bad thing" about this horse is the bench is one foot too short, I have fallen off the end several times when I was draw-knifing some very long pieces. 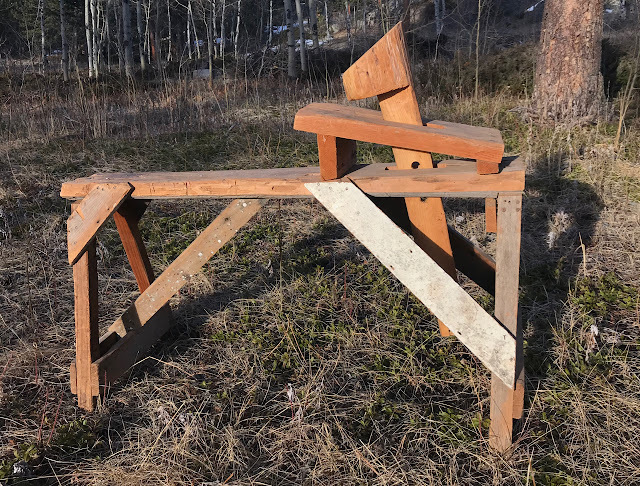 Yes, I made two or three copies of Drew Langsner's shaving horse from dimensional Douglas fir lumber and I made sure the benches were long enough. However, those horses never worked as well as this one, maybe that style is not organic enough for me. I ended up giving all of them away. I don't think I have used this horse in seven or eight years, I really don't need one for guitar making, but it does my heart good to know that it is in a nice shed protected from the elements and I can use it whenever I want. It's hard to believe that in ten years this horse will be fifty years old!